The America's Got Talent judge also donated £100,000 of his own money to the Artists For Grenfell fundraiser, the charity supporting the Grenfell victims and survivors, but he did not stop there. He took it further by organising to record a charity single. Proceeds from the single and donations made at artistsforgrenfell.com go to The London Community Foundation. Speaking to Mirror Online, Simon said that he felt he had to do more than donate money to help those affected. "I felt how everyone felt when they saw the news. I was angry, upset, thinking what the hell do you do? It's not far from where I live, so when I drove up there, and you saw this tower, it wasn't great. And that's when you decide that maybe we could do something to help. You kind of think, what can I do? Do you donate some money and I was thinking, well maybe we could do a little more than that and that's how the record came about." Simon said it was touching how everyone at Grenfell came together as one to pull through the tragedy. "The one word that comes to mind is community. I'm currently up in Liverpool and people are talking about it here and wherever you are around the country." The track, which was put together in three days, will be a cover of Simon and Garfunkel's Bridge Over Troubled Water. Simon said they picked the classic because the lyrics were appropriate. A community choir from the area near Grenfell will feature on the track with around 60 other artists, including Pixie Lott, Stormzy , James Blunt and One Direction. Dozens of celebrities have been spotted at Sarm Music Village near the Grenfell Tower site to record the single. The track was scheduled to be released on all major UK radio stations at 8 a.m. on Wednesday morning. 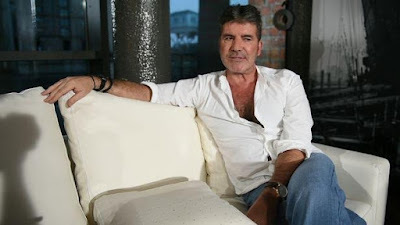 Watch video of Simon Cowell's interview below.